The Article Insights Chrome plugin is now ready for closed beta testing. 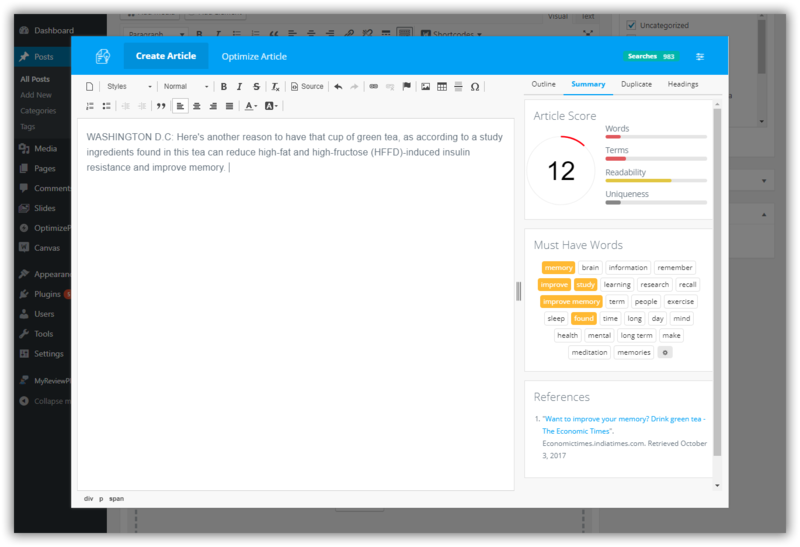 The plugin currently supports WordPress editors and google documents. Once the plugin is installed it appears as a toolbar. Support for individual editors will be added as requested. The toolbar will read the content in your document and the color of words will change as they are used in your editor. You can select the which keywords you are targeting by clicking on the dropdown box in the toolbar. You don’t even need to leave your editor to add a new keyword! Just click on the blue “+” symbol. 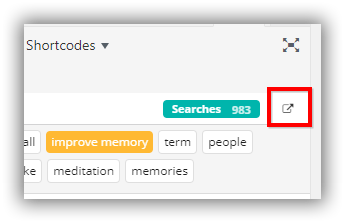 Article Insights will perform the analysis in the background, once its complete the toolbar will automatically fill with the most important words for that keyword search. One of the great things about Article Insights is the topic and research snippets you can get to help you write your article. All this information is still available by expanding the toolbar using this button. Article Insights will now open up in its own floating window. Inside this floating window you can do everything in the app but within your current editor. If you customize the “must have words” list, this change will also be reflected in the toolbar in your document editor. Please note, that the document editor in the floating window is not connected to your main editing window. Think of it like your notepad. You can browse topics, add research etc. You then copy and paste the content you need back into your editor. Additionally, you can close this window by clicking anywhere outside the Article insights window, don’t worry all your notes are kept in place and will be re-shown if you click on the maximize button.